Tuninetti, A., & Tokowicz, N. (2018). The influence of a first language: Training nonnative listeners on voicing contrasts. Language, Cognition, and Neuroscience, 33(6), 750-768. Tseng, A. M, Doppelt, M. C., & Tokowicz, N. (2018). The effects of transliterations, thematic organization, and working memory on adult L2 vocabulary learning. Journal of Second Language Studies, 1(1), 141-165. Bracken, J., Degani, T., Eddington, C. M., & Tokowicz, N. (2017). Translation semantic variability: How semantic relatedness affects learning of translation-ambiguous words. Bilingualism: Language and Cognition, 20(4), 783-794. Degani, T., Prior, A., Eddingtion, C. M., Areas da Luz Fontes, A. B., Tokowicz, N. (2016) Determinants of translation ambiguity: A within and cross-language comparison. Linguistic Approaches to Bilingualism. Tuninetti, A., Warren, T., & Tokowicz, N. (2015). Cue strength in second-language processing: An eye-tracking study. The Quarterly Journal of Experimental Psychology. Tokowicz, N. (2015). Lexical Processing and Second Language Acquisition. New York, NY: Routledge. Eddington, C. M., & Tokowicz, N. (2015). How context and meaning similarity influences ambiguous word processing: the current state of the literature. Psychonomic Bulletin & Review, 22(1), 13-37. Presson, N., MacWhinney, B., & Tokowicz, N. (2014). Learning grammatical gender: The use of rules by novice learners. Applied Psycholinguistics, 35, 709-737. Francis, W. S., Tokowicz, N., & Kroll, J. F. (2014). The consequences of language proficiency and difficulty of lexical access for translation performance and priming. Memory & Cognition, 42, 27-40. Francis, W. S., Tokowicz, N., & Kroll, J. F. (2014). Repetition priming in bilingual word translation depends on bilingual language proficiency and item difficulty. Memory & Cognition, 42, 27-40. Degani, T., Tseng, A. M., & Tokowicz, N. (2014). Together or apart? Learning of translation-ambiguous words. Bilingualism: Language and Cognition, 17(4), 749-765. Tolentino, L. C., & Tokowicz, N. (2014). Cross-language similarity modulates effectiveness of second language grammar instruction. Language Learning, 64,, 279-309. Tokowicz, N. (2014). Translation ambiguity affects language processing, learning, and representation. Selected Proceedings of the 2012 Second Language Research Forum. Cascadilla Press. Tokowicz, N. (2013). Bilingual language processing. To appear in H. Pashler (Ed. ), Encyclopedia of the Mind. Sage Publications. Tokowicz, N. (2013). The Revised Hierarchical Model. Invited contribution to P. Robinson (Ed.) The Routledge Encyclopedia of Second Language Acquisition. New York/London: Routledge. Boada, R., Sánchez-Casas, R., Gavilán, J. M., García-Albea, J. E., & Tokowicz, N. (2013). Effect of multiple translations and cognate status on translation recognition performance of balanced bilinguals. Bilingualism: Language and Cognition. Tokowicz, N., & Degani, T. (2013). Cross-language influences: translation status affects intraword sense relatedness. Memory &Cognition, 41(7), 1046-1064. Tokowicz, N. (2013). Bilingual Language Processing. In H. Pashler (Ed.) Encyclopedia of the Mind Vol. 1 (pp. 114-115). Sage Publications. Eddington, C. M., & Tokowicz, N. (2013). Examining English-German translation ambiguity using primed translation recognition. Bilingualism: Language and Cognition, 16, 442-457. Armstrong, B. C., Tokowicz, N., & Plaut, D. C. (2012). eDom: Norming software and relative meaning frequencies for 544 English homonyms. Behavior Research Methods. Li, P., & Tokowicz, N. (2012). The psycholinguistics of second language acquisition. In P. Robinson (Ed. ), The Routledge Encyclopedia of Second Language Acquisition. (pp. 526-534). New York, New York: Taylor & Francis. Natasha Tokowicz is the recipient of a University Honors College Faculty Fellows Award. Among other things, she is being recognized for her outstanding work with students pursuing their Bachelor's of Philosophy (B. Phil) projects. Natasha Tokowicz, Psychology and Linguistics, and graduate student Caitlin Rice won Best Poster Award at the 2017 Second Language Research Forum for "Teaching Translation-Ambiguous Words: Simultaneous or Consecutive Order of Presentation." LRDC received good press for the summer internship program in the "Diversity in the Psychonomic Society: Now More than Ever," blog by Duane Watson and the Psychonomic Society’s Diversity and Inclusion Committee. Duane Watson also gave a Facebook shout out to LRDC Research Scientist and Associate Professor, Psychology, Natasha Tokowicz and the entire LRDC community. LRDC awarded a grant to Natasha Tokowicz, Associate Professor, Psychology and Linguistics, and LRDC Research Scientist, for "Integrating fMRI and EEG to Examine Learning and Memory Consolidation." 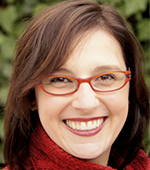 Congratulation to Natasha Tokowicz with co-PI Debra Titone, McGill University "Women in Cognitive Science: Mentoring, Negotiation, and Obtaining Funding" was awarded a National Science Foundation (NSF) grant to fund professional development activities associated with Women in Cognitive Science. Natasha Tokowicz has been nominated to participate in the 2014-2015 American Psychological Association (APA) Leadership Institute for Women in Psychology (LIWP). Established by the APA Committee on Women in Psychology, LIWP’s mission is to prepare, support, and empower women psychologists as leaders to promote positive changes in institutional and organizational life and to increase the diversity, number, and effectiveness of women psychologists as leaders. Natasha Tokowicz received a National Institutes for Health (NIH) subaward from Arizona State University for the project "Cognitive Load in the Bilingual Brain:Insights from Decoupled Reading." Principal Investigator, Individual Post-doctoral National Research Service Award (NIH 1 F32 HD42948), "Second language syntactic and semantic development"
The National Science Foundation awarded a grant to Principal Investigator Natasha Tokowicz, Associate Professor, Psychology and Linguistics, and LRDC Research Scientist, and co-PI Alba Tuninetti for “Doctoral Dissertation Research: Nonnative Phonetic Perception in Adult L2 Learners." The National Science Foundation awarded a grant to Principal Investigator Natasha Tokowicz, Associate Professor, Psychology and Linguistics, and LRDC Research Scientist for “Women in Cognitive Science: Mentoring, Negotiation, and Obtaining Funding."